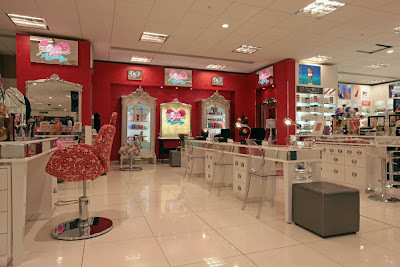 House of Fraser isn't the only Glasgow department store that has undergone a major overhaul - the cosmetics hall Debenham's Argyle street store has also been totally revamped, with new additions like Illamasqua and Smash Box making the store a real beauty destination for me. Filthy Gorgeous will also be luring me back again and again. It's a full 'beauty service apothecary and retail emporium' located in the Debenham's cosmetics hall. Aside from their menu of gorgeous services - manis, pedis, brow shaping, make-up, hair styling - the concession sells make-up and accessories you won't find anywhere else. 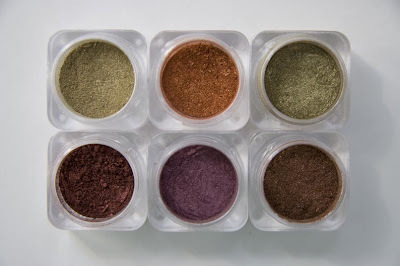 The products that most impressed me were the pigment pots by Naked Cosmetics. These amazing, all natural multi-taskers can be used as anything from lipgloss to nail varnish, eye shadow to highlighters. Just the kind of products that make you want to calculate cost per use ratios. 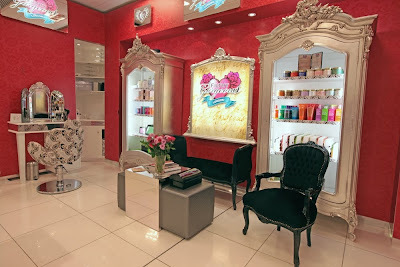 You will also find jewellery, hair pieces, candles, hair products…the list goes on and on. And the menu of services is amazing - you can get anything from a £10 manicure that, at 10 minutes could easily fit in during your lunch break, to a full on 60 minute Rock star overhaul that includes their 3 week gel manicure, pedicure, brow shape, eyelashes, hair styling, and make-up. I think I'll try the Minx nail art when I go back (as seen in just about every fashion mag everywhere).